Delight yourself in the Lord and he will give you the desires of your heart ~ Psalm 37:4. When I first read this scripture, I read it and thought it meant that if we find our delight in the Lord, He will give us what we want but the teaching that I read explained it from a different and possibly unpopular perspective which is that if we delight ourselves in the Lord, he will literally give us the desires of our heart…as in place the desires there. I have started to pray specifically for this but I’ve realized in the past few days that its pointless to pray this if I don’t believe it will happen!!! Faith has always been an issue for me and I am not sure why. I think part of it was my influence growing up. I grew up around alot of hand-wringers and chronic worriers. 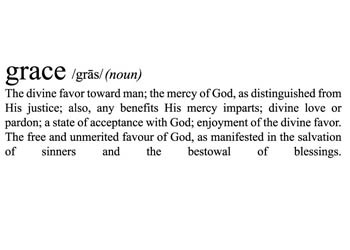 I also think part of it is that I know I am not worthy of all of the blessings in store for me but I’m still trying to grasp the full concept of grace. 1. To live my life to reflect Christ. I tell people I am a Christian all the time so I know I need to live a joyous life!!! Now I know that no one is happy all of the time but I want you to imagine for a moment that you don’t have a relationship with the Lord. Imagine for a moment that you’ve never accepted Christ as your Lord and Savior. Now think about how you act. Would your actions make YOU want to follow Christ? Do you live your life in a way that would make YOU wonder what you have that others don’t? These are things that I’ve thought of lately and questions I have asked myself. Is my LIFE a witness for Christ? Are my ACTIONS a testimony of not only His greatness, but also of His GOODNESS? Christ said that he came not only to give us life but to give it more abundantly and since He’s offering, I’ll take it!!! 2. To encourage others. It is a very deep desire of mine to encourage and inspire. I truly want people to be HAPPY. I love to see other people confident, happy and successful. I want to show people that they seriously are beautiful and awesome and really and truly are loved!!! There’s people in my life that I see so much potential in. I see their beauty and intelligence and ability but I also watch them not see it in themselves and I want them too sooo bad because I love them!!! If you read this and think I am talking about you, I probably am lol. 3. To truly be humble. I want to honestly not care about what other people think about me. I want to honestly be so confident in myself and in the Lord that I don’t think that I’m better than anyone else or that anyone else is better than me. Pridefulness can wear many masks, even one called (GASP) low self-esteem!! When you are truly confident in yourself, you really can focus on other people and when you are really trusting God ( I am REALLY speaking to myself here) you can openly serve him without hesitation and praise him without reservation!!! 4. To be healthy physically. I think part of the reason that I have failed so many times in my previous weight loss/fitness endeavors is because health was never my goal. I didn’t do it to take care of my temple, I did it out of vanity. I wanted to be “HOT”. My “why” was never solid enough. Now I want to be healthy because our bodies are the temple of God and we are bought with a price and we are EXPENSIVE!!!! Jesus redeemed us with His blood, with His LIFE, so I’ve made it my goal to get this temple in optimum shape and honor God with my body. I also want to stress that this is a PERSONAL conviction and that I’m not pointing fingers. 5. To be healthy spiritually. I have listed this last but it is by far the most important. What I want more than anything is a closer walk with the Lord. I want to go through my life hand-in-hand with my Heavenly Father. I want to do everything in my life to His glory and with continual praise on my lips AND in my heart. I want a deep prayer life because I FINALLY realize that prayer is a privilege. It is a privilege for us to be able to enter the throne room of grace and have intimate, one-on-one time with Almighty God!!! I want to surrender my life to him so fully and completely that my heart and mind is putty in His hand. I accepted Christ as my Lord and Savior on November 10th, 1988 but it wasn’t until a couple of years ago that I FINALLY began to mature in the Lord. I think I MAY be past the point of being a spiritual toddler now. I am definitely still a child though. I understand that the maturation process takes time but I want to be mature NOW. I imagine this is why I always seem to be put in situations where I have to exercise patience. I want to get to the point that I bear the fruits of the Spirit without even thinking of it!!! I want to be so on fire spiritually that I glow. I want this flame that’s in me to grow into a blazing bonfire!!! I hear people say often, “well that’s just human nature” or “well you are human after all” and while that is true, those phrases often equate to “walking in the flesh” and I don’t want to walk in the flesh, I want to walk in the Spirit!!!! I get so aggravated with myself when I let my flesh rise up, which is often and anyone that knows me knows I can throw one grand hissy fit. Sometimes its like word vomit. I know I don’t need to say it but I can’t seem to stop myself and then I am extremely thankful for grace. I think I am going to have to expound on these points in separate posts because this is getting super long and if anyone reads it, I don’t want them to fall asleep. Thanks for joining me on my journey and remember, You. Are. Beautiful!! !